What made you decide to invest in commercial properties rather than to just build a portfolio of single family homes? What are some of the major advantages of commercial investing over single family homes? Are there any special skills that folks need for this type of investing that they don’t need when investing in single family homes? What advice to have for someone that is just starting out (with commercial properties)? Is there anything they should avoid? What made you decide to invest in commercial property rather than to just build a portfolio of single family homes? Actually, when I first started investing I was in the single-family market. I still am. I've been investing for nearly three decades and have just been strong in the commercial market in just the last four, almost five years. I think all investors get bitten by the “commercial bug” at some point during their investing career. I think there are several advantages of commercial investing over single-family homes. Fortunately for us, people need a place to live. There is a very strong demand in the rental market. In fact, there has been an upsurge in rental demand sense 2010. Right now it's estimated that 35% of the US population are in the rental market. It's estimated that 65% of those rentals are Multi-Family units. I think too, that there is less competition in the commercial market. There just aren't as many real estate investors there. There is also, I think, lower risk since you can spread your expenses over more units. Finally, for me, the major advantage is it's just more FUN!! I don't think there are any special skills that folks need this type of investing; maybe just different skills. I think being able to run the numbers and analyze the deal is one of the most important skills that an investor can have – especially when it comes to commercial. I also think that sales and negotiating skills are also extremely important. What advice to have for someone that is just starting out (with commercial properties)? I think the best advice I can give is to always be marketing. Like all real estate investing, commercial investing is a numbers game. You have to keep your lead pipeline full. If you don't, when you finish up a deal, whether it closes or not, you don't have anything else to work on. Nothing. It's like starting all over. This “stop start” marketing is what keeps investors from doing more deals and making more money. 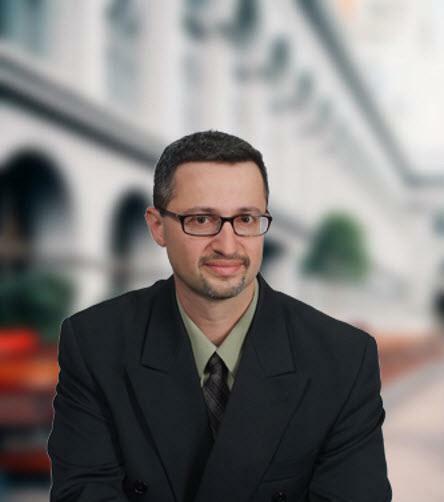 Bill is a full time real estate investor and mentor as well as a business and tax strategist who supports his clients in growing, promoting and building their real estate business. His passion is teaching creative business and tax strategies so his students make more, spend less, and live a tax deductible life-style. I really enjoy having just one set of bills. One water bill, one insurance bill, one tax bill. It's much easier for accounting purposes. A successful commercial investor runs their business like businesses. With single family homes, it's easy to look at the investment like a hobby or a side-project, but commercial investing is all about systems, processes, rules, math, and other business concepts. Is there anything they should avoid? Avoid paying for extremely expensive training for commercial investing before you've done some of the basic investing. I know people who have spent tens of thousands learning from a commercial investor how to invest in huge apartment complexes, but have never bought a single deal. Now it's difficult (almost impossible) for them to attract the funding needed for these projects because they lack the experience needed to build trust. Brandon Turner is an active real estate investor, focusing primarily on rental properties and flips in Western Washington State. Buying his first home at the age of 21, Brandon quickly grew his real estate portfolio to over 40 units using a variety of creative finance methods. He is also the author of The Book on Investing in Real Estate with No (and Low) Money Down and a weekly co-host on the BiggerPockets Podcast. You can find Brandon at BiggerPockets.com. A spreadsheet. I looked at my monthly cash flow goals over the next 10 years then looked at how many single family homes I would need to buy to get there and…yikes. I knew I had to go larger. Even if I live as long as my incredible 99-years young grandma (love you grandma!) I still wouldn’t get to where I want to go without moving to multifamily investing. 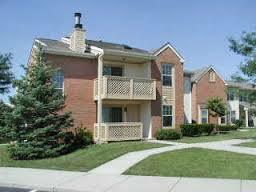 The main thing for me you can buy multiple “homes” with one purchase when buying a multifamily property. When you buy a larger apartment building you also get economies of scale due to having multiple units under one roof. That lowers expenses and increases your bottom line. But the main thing is buying larger is cheating time. Time is the most precious resource we have and if we buy “in bulk” then we expedite our financial futures. This allows us to start focusing on the stuff we want to focus on in life. I think that the same skills are needed for both but you’ll certainly do more of some than others. For example, I’ve personally had to really focus on building and maintaining amazing relationships. The higher up you go on the real estate ladder the fewer people there are therefore relationships are critical to your success. It’s not about transactions, it’s about relationships. One tip for building and maintaining relationships is to be a Power Connector as Judy Robinett mentioned in my podcast interview with her. See what you can do to connect someone with another person who could help them grow their business. If you constantly make that a focus of yours you will do very well in the industry. Read books to establish your baseline foundation of knowledge. Then find someone who is successfully doing what you want to do. Reach out. Add value in their life. Learn the process then implement that process while getting help along the way. That’s the best formula for success I know of and the same formula I’ve used to get where I’m at today. 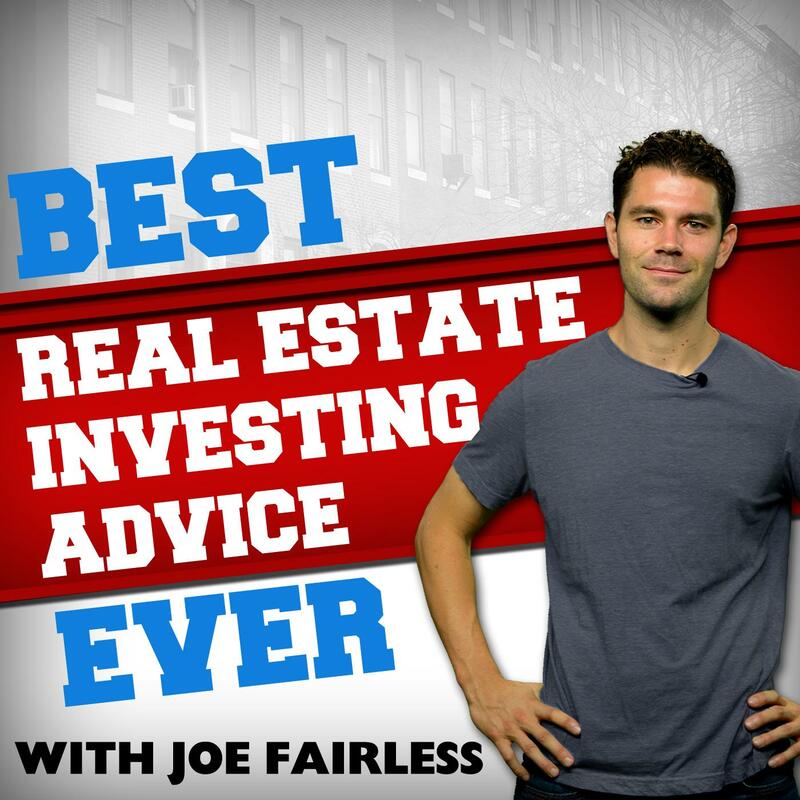 Joe Fairless, founder of Fairless Investing, controls over $7,000,000 in real estate. He's also the host of the top rated investing podcast, Best Real Estate Investing Advice Ever show. 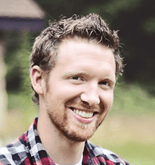 Joe started investing in single family homes in 2009 while working full-time at a NYC advertising agency. He made the switch to apartments when he realized he could achieve his financial goals much faster by buying lots of “homes” at once. He has raised over $1,000,000 and is currently working on a 300-unit development deal. Avoid going too big too soon. Start small – SFR, then Duplex, 4-plex, 6-plex, 10-plex, etc. 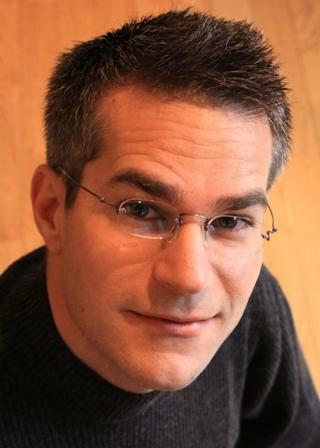 Ben Leybovich is a real estate entrepreneur, syndicator, author, trainer, and speaker. Ben has been investing in multifamily real estate since 2006. Ben's area of expertise is creative finance with an emphasis on nothing down techniques. Ben works extensively with institutional and private capital. Aside from being an active real estate investor, Ben is an avid blogger on his site www.JustAskBenWhy.com and a featured writer on the www.biggerpockets.com blog. Ben is the creator of Cash Flow Freedom University, an educational program for real estate entrepreneurs which is available through his website. What made you decide to invest in commercial property rather than to just build a portfolio of single family homes? What are some of the major advantages of commercial investing over single family homes? I'm not opposed to investing in single family homes. In fact, I renovated and flipped about 34 and held on to a few. It was easy to raise money from private individuals and I liked the 6-month pay days. It's a very hands-on and active activity. If I stopped buying, renovating and selling, I wasn't making money. Even with a team in place, there was nothing very passive about this kind of investing. The strategy has a higher dependency on the market: most of my flipping occurred between 2009 and 2012, a time in the Washington DC area that was very unique: a massive supply of foreclosures combined with a recovering retail market created a unique money-making opportunity that dried up beginning in 2013. Loss of Income: In my rentals, if I had a vacancy, I had temporarily lost 100% of the income of that property. The rentals were difficult and expensive to manage: property managers charge more for managing single family houses (typically 10% of income). Not as scalable: I have to grow my portfolio one house at a time. Recourse financing: unless you have a very large portfolio, you are personally guaranteeing the loans. More affordable: it's much easier for investors to afford a single-family rental than an apartment building. Easier to find: even though it's tougher to find good apartment building deals, finding reasonably good rentals even in hotter areas is much easier. Easier and cheaper to manage multiple units all fewer than one roof. More passive income: while I argue that there are very few, truly passive investments, if you have a good property manager in place, apartment building investing comes pretty close. More scalable: I can add multiple units to my portfolio with just one transaction. Non-recourse financing: It's not uncommon to get non-recourse financing for loan balances greater than $1M – nice. Greater wealth-creation potential: with commercial real estate, I have more of an ability to control the value of the property. If I'm able to increase income and decrease costs, I can raise the value of the property. This allows me to purchase properties with problems at fair market value and make improvements to increase the income. Even relatively minor increases in income can have a huge effect on value. Not only can commercial real estate produce income, but the wealth-creation potential is much greater than with single family houses. Having said that, it's REALLY tough right now to find good deals anywhere in the country. In fact, some experienced investors are either sitting on the side lines or they're changing their strategy. A couple I know are building a portfolio of single family houses. Another disadvantage is that it requires more capital. This is probably the single biggest objection to people getting started with commercial real estate. But it can be overcome by learning how to raise money. So there are the pros and cons of single family houses vs. commercial real estate! Doesn’t sound like a newbie. Do this by reading articles and books about the asset class you want to invest in (apartment buildings, retail, self-storage, etc). Commercial real estate is a numbers game like any real estate is. When I first got started, it took me 4 hours to answer the question “what is the most I should pay for this building and why?” That's way too much time. You shouldn't spend more than 10 minutes to analyze a deal and make an offer on it. Because this is such a big issue and I get questions about this all of the time, I just released a free ebook on this very topic called “The 10-Minute Offer”. Please feel free to download it at http://www.SyndicatedDealAnalyzer.com/ebook. This will help you waste less of your time, make more offers, and ultimately get more deals done. I spend a LOT of time teaching and writing on this subject because it's the single biggest objection for people to get started with investing in commercial real estate. But it doesn't have to be this way. The solution is to raise money from private individuals. It's such an important topic that I have a free eBook on this as well. You can find a link to that book below. Do you have questions for the experts? You can ask them here.